Third Age, an old mod for Medieval II Total War, remains one of the best mods you can get for any PC strategy game. It’s about to get some competition, though, from Total War: Rise of Mordor, a new mod that’s now got a playable alpha available you can check out. 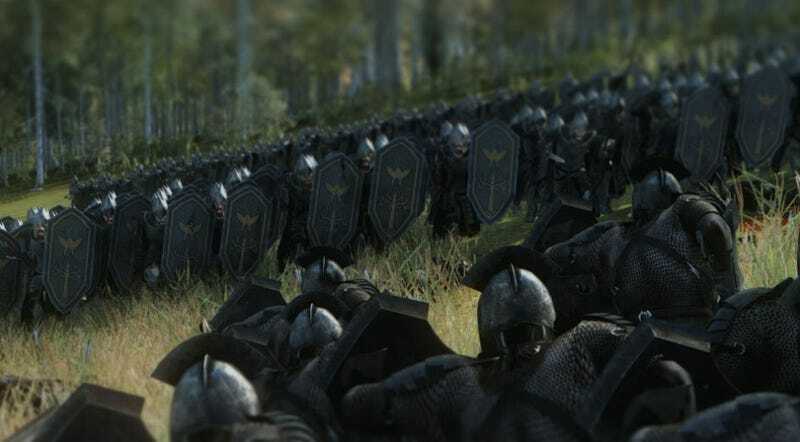 While both are essentially doing the same thing—bringing Lord of the Rings to the Total War engine—there are some significant differences. Third Age is older (it’s running in a game first released in 2006), so it looks older, but it’s also an incredibly comprehensive mod, feeling in many points like it’s a standalone game in its own right. Rise of Mordor, meanwhile, obviously looks amazing since it’s plugged into the newer Total War: Attila, but has some serious limitations; namely that Creative Assembly have really put the brakes on the moddability of their games in recent years, which is making the development of things like a campaign and custom overworld map almost impossible. Still, what the team can do to get around this, they’ve done or are doing, and they’ve done a ton of work, up to recording their own motion-capture data for new units. There are plans for 19 factions in all, and you can download the alpha (which, remember, is far from the finished product) here.